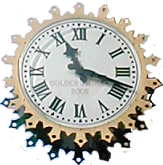 Belper has a long and notable history, but is also in this present age a thriving and expanding town, with the usual needs and requirements for its inhabitants. Sometimes those two interests conflict, leading to heated discussions and even disputes between those who want to honour and preserve Belper's historic past, and those who want to attract commerce and tourism to the town and to create modern amenities. Some clashes have included the proposal to allow a Night Club to take up residence in the old North Mill site; and the conversion of St. Laurence's Convent and gardens into a closely-packed estate of brick houses. 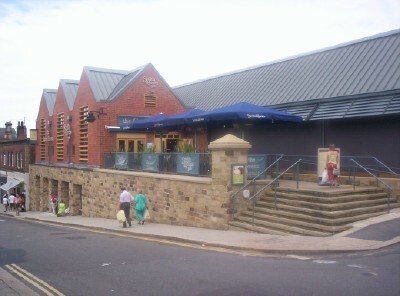 The appearance of a poorly-built modern-styled Pub/Restaurant called "The Green House" with shops around and underneath, on the site of the car park at the corner of Green Lane was met with dismay by most of Belper's residents. The site was once the paddock to Green Hall, built by Jedediah II in 1810. Surely he would turn in his distinguished grave to see the travesty his back yard has become, as the site is not only out of keeping with traditional building in Belper, in the opinion of many residents, but has led to an increase in rowdiness, drunkenness and vandalism in the central area of this rural town. ARCHAEOLOGISTS have uncovered the remains of a house belonging to 19th century Belper mill owner Jedediah Strutt II. Strutt's house, named Green Hall, was demolished in 1956 and the car park put in its place soon after. But historians were never sure how much, if any, of the original building remained below the car park. The excavation, carried out by a team of seven archaeologists, has revealed the remains of exterior walls, entrance steps and what could be traces of an 18th century central heating system designed by the Strutt family. Led by archaeologist Sean Bell, the team dug two shallow trenches on the car park, revealing clear building remains just below the surface. Mr Bell said: "What was important about Green Hall is it appears to have had an 18th century central heating system we can see that the walls had flues in them. We have been quite surprised by how easy it was to find the old building - it was just below the Tarmac". EXCAVATION at the Green Lane car park site has unearthed an unexpected link to the past, uncovering two tunnels. Site manager Wesley Hewitt said: "As we excavated the site we uncovered two tunnels, we are not really sure what they are but experts have told us they could well be old air raid shelters. We have also been uncovering quite a bit of scrap material such as cast iron and old building columns and this is quite interesting for local archaeologists." 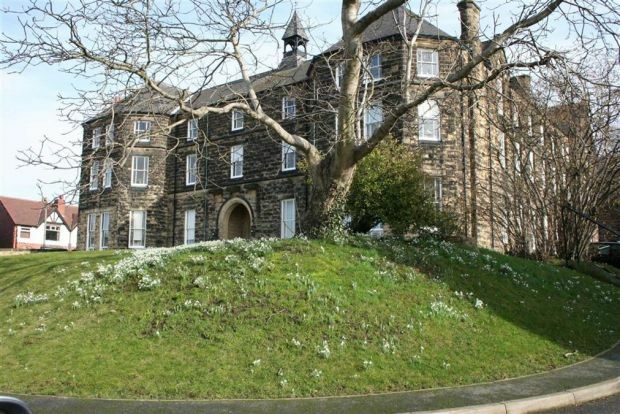 The Belper site was historically the site of Strutt residence Green Hall, and an iron bridge spanned King Street to what is now the Memorial Gardens. Adrian Farmer from Belper Historical Society said: "Green Hall was built for Jedediah Strutt II when he married around 1810. It then had a variety of uses including a school and a clinic during the Second World War until it was demolished in the 1950s. "The tunnel could have been a way of getting from the bridge that crossed over King Street on to the street itself we couldn't be certain, the site is very interesting and could do with more investigation, unfortunately that is not possible in these days of rapid development." Nick Elliot, director of Landmark Cannon said: "We started on site on March 27 and are hoping for a pre-Christmas opening for Mackays and Barracuda." 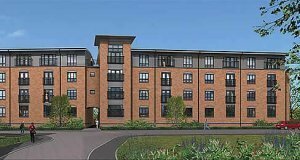 The housing development at St. Laurence Convent - although initially met with dismay by local residents - gained many awards and has settled in nicely to its environment, having left mature trees in place and scaled back the number of houses considerably. There is a fuller account of the old building, its history and fate here, but suffice it to say the photograph below shows how the apartments have not damaged the integrity of the central convent building. Perhaps this clash of ideology is most clearly demonstrated by the discussions over the old Fuchs Lubricants/Silkolene factory site. Until a few years ago, the site - by the roundabout at the main entrance to Belper Town - was a factory hidden from view by high brick walls and gates. Also see: Deb Factory Demolition - The story of Swafega. FUCHS Lubricants at that site supplied the Silkolene range to many of the world's leading multinational pharmaceuticals and cosmetics companies. Fuch's company literature notes the move from manual to automated production: "The company originally owned sites in Belper - previously the Silkolene Oils production facility - and Stoke on Trent - where Century Oils, acquired by Fuchs in 1991, was based. When the company decided to rationalise and enlarge its UK manufacturing capability, the decision was taken to move all production, including the petroleum jelly plant, to Stoke on Trent. The new facility is the only one in Europe to be licensed for the production of medicinal standard petroleum jelly. The old manufacturing site in Belper had relied on a manual control system and the expertise of the resident workforce to maintain standards. However, even before the decision was taken to move to Stoke, the company had begun to examine how batch to batch repeatability could be improved. With changes in operators, both temporarily from shift to shift, and permanently as new staff joined the company, Fuchs began to explore the possibility of automating to improve production [and] the decision was taken, in 2000, to install a Siemens Process Control System (PCS)". Accordingly, in the year 2000 Fuch's closed its Belper Silkolene oil refinery with the loss of 170 jobs. In 2001, the national supermarket chain, ASDA wanted to develop the site for a new store in Belper. Asda submitted a planning application to Amber Valley Borough Council to build a store that would be about 65,000 or 70,000 sq ft in total. Andy King, senior development surveyor for Asda, said: "The site is all but derelict and I think everyone would like to see the land brought back into economic use. These proposals are very much about regeneration." David Robinson, chairman of the town centre forum, was also behind a redevelopment of the site. But to the alarm of many, there existed on the site a three-storey Grade II-listed warehouse (which would have been restored for use as offices) and an 18th-century cottage in the centre of the site which would have to be demolished. 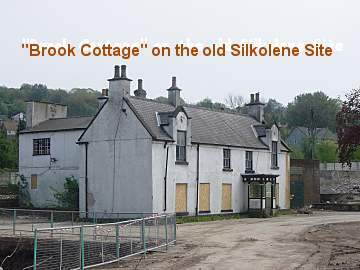 Town historians were adamantly opposed to the loss of Brook Cottage, which is believed to be amongst the oldest buildings in Belper. Arthur Bellaby, committee member of Belper Historical Society, said: "Brook Cottage is probably as old as the houses in Long Row and they're all listed. The two go together so they should both be preserved." An entry in the "Derby Recorder" for 1829 says this: "Brook Cottage Seminary" Mrs Bourne begs leave respectfully to announce to her Friends and the Public, that she has opened a SCHOOL for the Board and Education of a limited number of YOUNG LADIES... Brook Cottage occupies a remarkably healthy situation on the skirts of Belper Park and is surrounded by delightful and dry walks..."
Taking a look at the state of the house in 2004 (opposite) - and it is still in the same condition today but surrounded by modern houses - it is almost impossible to grasp what a beautiful and peaceful part of Belper this once was. 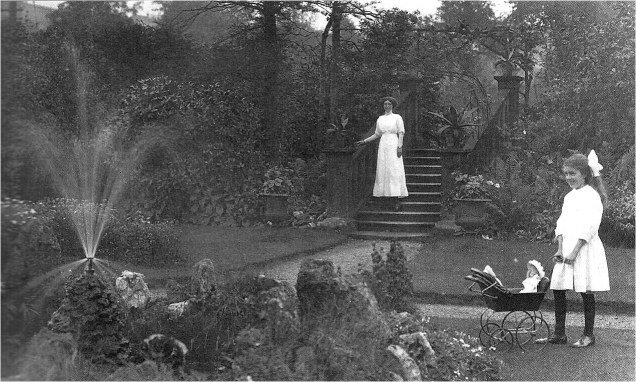 Here is a photo taken in 1909 of Alice Smith and her niece Winnie in the grounds of Brook Cottage. The 1908 Kelly's Directory lists Tom Smith as the owner of the house and magnificent garden. Asda's Mr King had promised that "The Grade II-listed (old mill) building will be renovated and restored to its former glory. We have applied for planning permission to convert the interior to smaller retail and the existing use, which is offices. This site has been used for oil and lubricants processing and as such is heavily contaminated and while there is no current threat to public health and safety, it does make development expensive. Few types of business can afford the development costs to bring this site back into use but a supermarket can and, if we can get permission, Asda will." However, they did NOT. For many more years therefore, the site remained derelict, with no redevelopment. In the end it was taken over by Radleigh Homes for housing (opposite), and became "Heritage Point" a large housing estate of apartments and a care home, surrounding the still derelict Cottage and the former Ward's Factory. More recently a large office building has been erected in front of the old factory, which these days suffers vandalism, broken windows and decay while waiting for a benefactor. 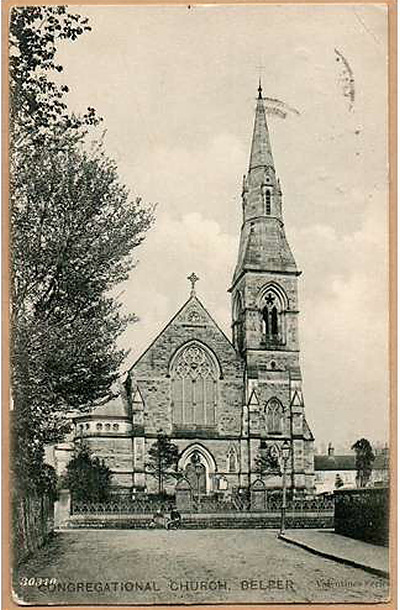 When this page was first written the Congregational Church, an historic church on Green Lane, was near derelict and being left open to the weather. It came close to its end in 1999. However, since that time a private developer has made the building into a residential property. In 2001, the abandoned building was bought by businessman Tim Godkin, who owns the Belper mill complex. It has since been successfully and tastefully restored and the small parcel of land to the front has been planted with lawns and shrubs. The building now seems safe from decay. The Congregational Church has not been used as a church since 1981 because of problems with the buildings structure. The churchgoers meet in a purpose-built modern hall behind the current church. Interior of the Former Congregational Church, on sale in 2018. 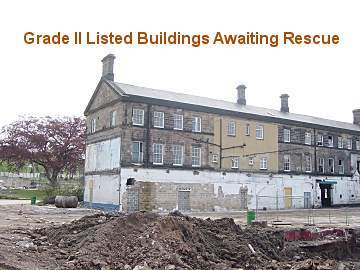 Coming soon: slideshow of Belper's finest buildings left to fall into disrepair, despite being Listed.